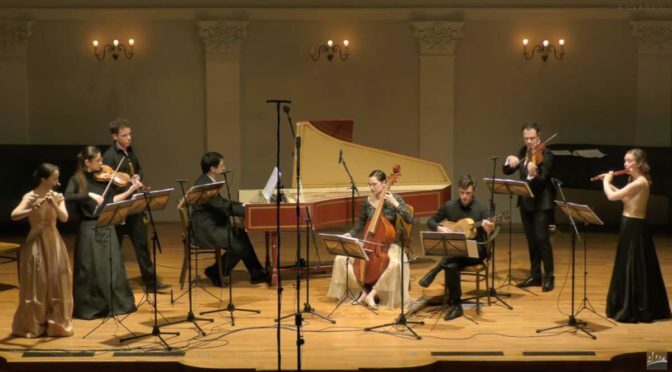 Croatian Baroque Ensemble performs pieces for flutes, violin and Pardessus de viole by Marin Marais (31 May 1656, Paris – 15 August 1728, Paris), the French composer and viol player. Marin Marais by André Bouys, the French portrait painter and mezzotint engraver, 1704. 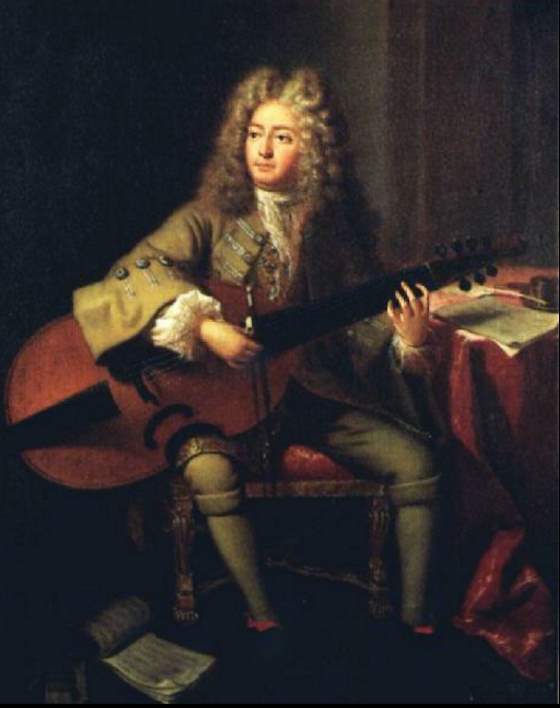 Marin Marais (31 May 1656, Paris – 15 August 1728, Paris) was a French composer and viol player. He studied composition with Jean-Baptiste Lully. He was a master of the viol, and the leading French composer of music for the instrument. He wrote five books of Pièces de viole (1686–1725) for the instrument, generally suites with basso continuo. These were quite popular in the court, and for these he was remembered in later years as he who “founded and firmly established the empire of the viol” (Hubert Le Blanc, 1740). His other works include a book of Pièces en trio (1692) and four operas (1693–1709), Alcyone (1706) being noted for its tempest scene. Marais is credited with being one of the earliest composers of program music. His work The Bladder-Stone Operation, for viola da gamba and harpsichord, includes composer’s annotations such as “The patient is bound with silken cords” and “He screameth.” The title has often been interpreted as “The Gall-Bladder Operation,” but that surgery was not performed until the late 19th century. Urinary bladder surgery to remove stones was already a medical specialty in Paris in the 17th century. The pardessus de viole is the smallest and (naturally) the highest-pitched member of the viol family of instruments. It was invented around the year 1700. It is a bowed string instrument with either five or six strings and a fretted neck. The pardessus first appeared in the early 18th century, and was commonly played by women, particularly in French-speaking countries.